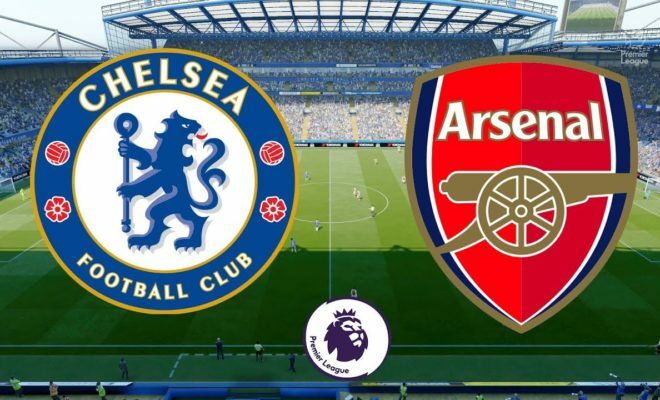 The two London giants will be meeting at Stamford Bridge on Saturday at 5:50pm with both team having new managers. Maurizio’s side will be hoping to build more on their victory over Huddersfield on Saturday as they welcome Arsenal to Stamford Bridge. Eden Hazard is expected to feature in the starting XI after he was benched in the 3-0 victory over Huddersfield. 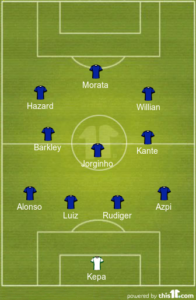 Sarri could utilise Hazard in a ‘false nine’ position if he chooses to start with both Willian and Pedro on the wing. Chelsea also have injury issues to tend to as struggling striker Alvaro Morata falls to the bench joining Izzy Brown, Marco van Ginkel and Cesc Fabregas who has a knee cap injury. The world’s most expensive goalkeeper Kepa Arrizabalaga starting is sure after keeping a clean sheet in his debut match against Huddersfield and Cesar Azpilicueta is expected to take advantage of the left-back problems faced by Arsenal. The central defense will feature Antonio Rudiger that appears to be Sarri’s favourite central defender. Mateo Kovacic appearance for the match is still in doubt after being sidelined in the Saturday match against Huddersfield.